Powered Up: What’s The Best Power Supply For Your Caravan? Mains, solar, battery or generator: what’s the best caravan power supply? We weigh up the options. > Caravan > Powered Up: What’s The Best Power Supply For Your Caravan? Most paid sites around Australia have a mains power supply option. Making use of these will enable you to run those power hungry appliances such as dish washers, microwaves and washing machines whilst allowing you to give those caravan batteries a well needed charge. It’s surprisingly easy to live without power for a few days. 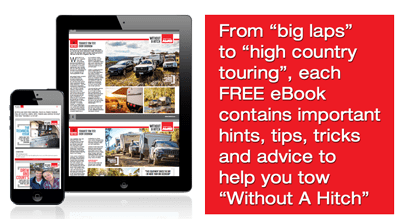 Being able to minimise your power usage when you’re pulled up at that perfect off-road site will make your camping experience – and that of your fellow campers – so much more pleasant. Adopt different habits while you’re off-road. Do you need the electric razor, hair dryer and television? Use a foot pump for water and set up a portable solar shower outside. Install battery-powered LED sensor lights in cupboards and storage compartments. Battery-powered torches, gas heaters and barbecue meals significantly reduce the need for electricity. Having an additional deep-cycle battery in the tow vehicle can often provide sufficient power for a few extra days, especially if you manage usage. It also means you can recharge your power every time you drive anywhere. Fit a battery-management system to ensure that your vehicle’s alternator is not overloaded and that the main battery doesn’t run flat. A voltmeter and ammeter will indicate the battery’s voltage and how much power each appliance uses. If the vehicle’s battery does run down, a battery-stabilising unit will allow you to start it from the caravan battery. Solar panels for caravans provide an excellent source of power for those who don’t usually run power-hungry equipment such as air-conditioning. Power is free (after initial outlay). Portable panels can be used to maximise collection. You do need to park in the sun if possible to get maximum charge from the panels; that can get uncomfortable in summer. Some caravanners find there’s not enough power to run all their appliances. Having to buy an extra battery and panels adds weight and cost. Depending on its capacity, a generator should supply all your caravan power needs. Most portable caravan generators produce 240 volts of power by connecting a petrol or diesel engine to an alternator; to power sensitive appliances such as computers or phones, you’ll need a sine-wave inverter generator. They will efficiently run most appliances. They use the same fuel source as the towing vehicle. You can refill them at a petrol station. Some camping sites don’t allow the use of generators. They have to be big enough to generate what you need. The more powerful they are, the more weight you carry. Security can be an issue, as they’re prone to being stolen. They make a varying amount of noise, disturbing you and your neighbours. They emit odours and carbon monoxide fumes, so you must set them up well away from other campers. Whatever caravan power supply you choose, it will be a lot more effective if you reduce the amount of power you need, giving you more time to enjoy the quiet of the bush. Before you do any work on the electrical systems in your caravan, check out these safety measures.